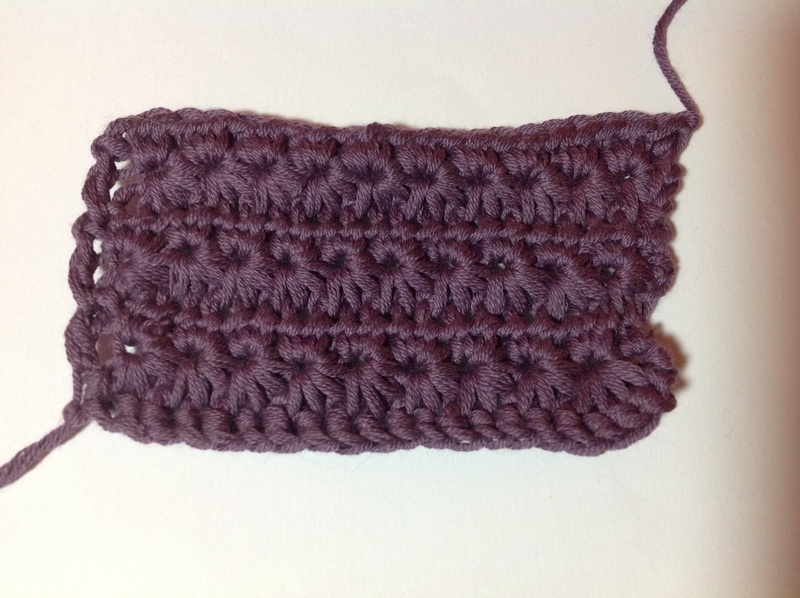 I’ve been using a double crochet foundation for my swatches, because I don’t get on with foundation chains very well. Unfortunately, most patterns assume a simple chain instead, and that can sometimes lead to issues. This daisy stitch is one of those times. I did a dc foundation of 20, and should then have done a simple chain of 3 to get going, but didn’t realise that until the end. That’s why the bottom right looks a bit squiffy. However, I really like daisy stitch. It’s pretty, it’s easy, and I’m pretty sure I could manage to not add stitches if I concentrated harder.